Lions are the only big cats to live in groups, called prides. Prides are close family groups. They work together to defend territory and hunt. 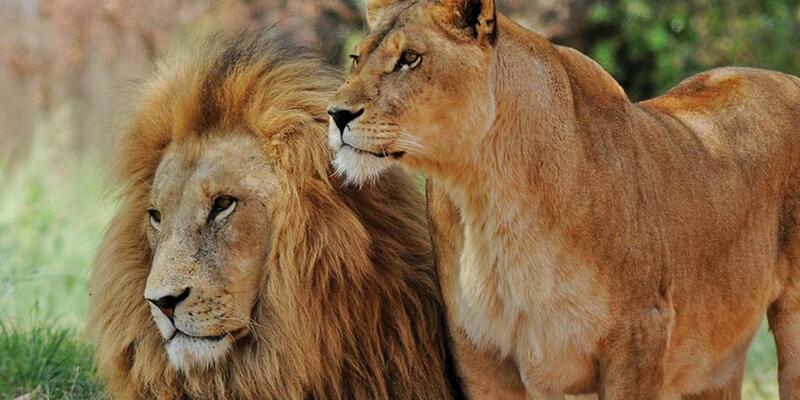 Lions roar to communicate their position to other prides. A lion’s roar is the loudest of any big cat and can be heard up to 8 kilometers away. Lions have amazing night vision. They are six times more sensitive to light than humans. This gives them a distinct advantage when hunting. Suddenly Takila felt his fear drain away. He continued walking. The lions followed along beside and behind him. Takila grew tired, but there was no place to sleep, so he kept walking. When he stopped to rest, the lions stopped; and when he started walking again, the lions started walking again. Takila walked all night, and the lions walked with him. Then as the sun began to peek over the distant hills, he saw a village in the distance. With new energy he walked toward it. For a moment he forgot about the lions. When he arrived in the village, he turned and looked for the lions, but they had disappeared into the tall savanna grass. The people of the village were surprised to see a stranger enter their village. They asked where he had come from. He told them he had come from the last village and had walked all night to get there. Takila told the villagers how when the sun set he had stopped to ask his God to send angels to protect him. He told them about the lions that walked beside him and stopped when he stopped. Word of Takila’s walk with lions spread through the village like a wildfire. Soon a crowd of people gathered about him. The chief asked Takila to tell them again how he arrived at the village without being eaten by hungry lions. Takila told them how he was able to walk safely through the night because the God he serves sent the lions to walk with him. The chief invited Takila to talk to the villagers about his God. And as soon as the rainy season ended, a minister went to baptize those who had given their hearts to God. Many more people in the villages that are scattered across the savanna have asked Takila to come to tell them about the powerful God he serves, the God who can send lions to protect a man who trusts in Him.